NEW ORLEANS – What’s Your Revolution Consulting recently announced that Charles S. Corprew, III, Ph.D., its founder and CEO, has been selected as a Black Enterprise magazine (BE) Modern Man for 2018. He is one of 100 African-American men from across the United States nominated and selected. The BE Modern Man 100 Men of Distinction will be honored at the 2nd Annual Black Men XCEL Summit, August 29 through September 2, 2018, at PGA National Resort & Spa in Palm Beach Gardens, Florida. 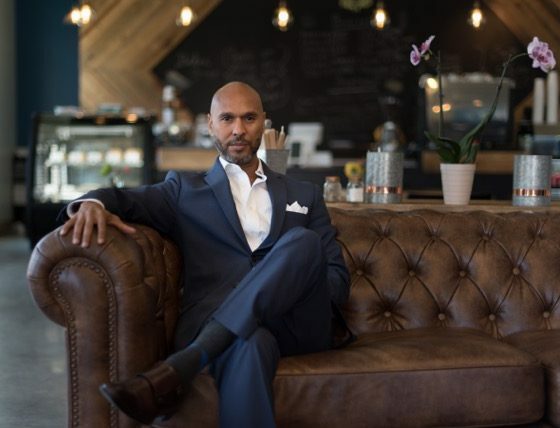 In the profile, Dr. Corprew shared that his personal revolution is to bring attention to the root causes and effects of hypermasculinity on Black men and boys and to help them find the healthiest versions of themselves. This work serves as the cornerstone of his weekly radio show, “What’s Your Revolution? With Dr. Charles Corprew” with airs on Wednesdays from 3 pm to 4 pm Central Time on New Orleans-based WBOK 1230 AM, a Bakewell Media Company station. The show streams live at wbok1230am.com and is podcast at SoundCloud. His guests have included noted thought leaders including psychologists Dr. Jeff Gardere and Dr. Howard Stevenson; Stanford University’s Vice President for the Arts Dr. Harry Elam, Jr.; Albuquerque Poet Laureate Hakim Bellamy; authors C. Erskine Brown and Sheryll Cashin; New Orleans City Councilmember Jason Rogers Williams and Jake Zweig, one of the first African-American Navy Seals. In addition to hosting What’s Your Revolution?, Dr. Corprew is a highly sought-after speaker and facilitator doing work with organizations and municipalities around the issue of racial and gender equity and inclusive excellence. Dr. Corprew says, “I help teams understand that, ultimately, bringing about healing in spaces that have clearly been fractured due to racial inequities dating back generations requires intentional heart-work.” His client roster includes Virginia Beach City Public Schools, Louisiana Public Health Institute, Media Arts Collaborative Schools, Lexington Catholic High School, Mayor Mitch Landrieu’s NOLA for Life Program, and Spring Board to Opportunities. Prior to starting his consultancy, Dr. Corprew was a fervent educator, spending 18 years teaching at the secondary and post-secondary levels. As a professor at Loyola University New Orleans, he devoted his time to teaching and researching the development of adolescents and emerging adults in diverse contexts; in particular, African American males. His publications can be found in Urban Education, The Journal of College Student Development, and The Journal of Men’s Studies. Charles is also widely cited in local and national media, including the New Orleans Times-Picayune, The Baltimore Sun, The Jackson-Free Press, Inside Higher Education, The Good Men Project, and The Huffington Post. He received his doctoral degree in Psychological Science from Tulane University. He also holds a Master of Arts in Teaching from Norfolk State University and Bachelor of Arts in History from James Madison University. Charles is a W.K. Kellogg Foundation Community Leadership Fellow. He is also a member of the 2017 Startup Venture cohort for Propeller – A Force For Social Innovation. Read Dr. Corprew’s BE Modern Man Profile. WYRevolution is a consultancy, grounded in a systems thinking framework with an equity lens, that works with individuals and organizations to revolutionize outcomes for the people they serve. Our services encompass keynote addresses, professional development, facilitation, and program design and implementation,. Our revolution is helping to create equitable outcomes for all; cultivate culturally competent, culturally aware, and culturally relevant leaders and organizations. Visit www.wyrevolution.com to learn more and to secure our services.